Jenina was a professional ballet and contemporary dancer and performed at many venues throughout Australia and on television throughout the 70's and 80's. Jenina is available for Tarot Readings, Psychic Readings, Clairvoyant Readings, Medium, Crystal Ball Readings and Numerology Readings. Magnificent Talent with true accuracy on predictions! A very nice lady and with a true talent on her predictions and accuracy. I will definitely have more readings with Jenina. After I had the reading, the feeling was just calm and soothing. That one can be rest assured of what decision to make moving forward with her guidance. I could not stress more but she is just lovely. A magnificent talent that one can have a reading with. Bless you dear Jenina. I was shinning after we had talked and feeling very blessed. Thank you with all my heart. The healing was so warming — after my sisters comments. I have a very happy picture of the colours and tempels and blue sky. Wish I could give Jenina 100 stars!!! She is absolutely the best. 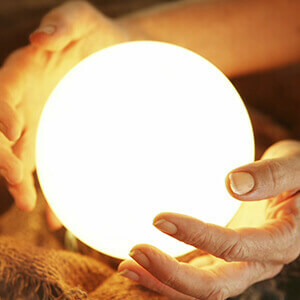 She is a wonderful psychic and feels like you are talking to your best friend. Jenina, I will be definitely calling you again. Thanks so much for the chat. You nailed the reading spot on, awesome!! Jenina is really amazing, and I`m very happy with my reading, and I just want everyone to know how good she really is. Jenina is always spot on. She helped me get out of a toxic relationship and was invaluable with her support. Thanks Jenina I feel great now! Jenina has read for me over several years, and her advice and clairvoyance is always spot on. Recently Jenina gave me the strength to get out of a toxic relationship, and she is genuinely the best, and I am so grateful that I had her there when I felt so down. I feel privileged to have her guidance. And I feel great now. Jenina has helped me so much and I know I can trust her advice. Incredible reader and always leaves me feeling positive and uplifted. Highly recommend! I feel so at peace now. What a fantastic reading with Jenina. Thank you so much. Fabulous reading precise and accurate. I am on the right path for happiness . Thank you, thank you and a hug for Jenina. I was missing my darling so much this morning, and although I am close to seeing him soon, I was feeling so uneasy. . I had the most beautiful reading, Jenina you`ve completely put my mind at rest. Thank you so much. I found Jenina to be an excellent reader. So polite and thoughtful, honest and considerate. Thank you Jenina for helping me. Jenina gave me another fantastic reading. She is so honest and brilliant. She always treats me with utmost respect. Jenina has helped me through so many difficulties. She is a gift from God, an angel. She is the best psychic this company has. I had an incredible reading with Jenina. We had instant connection, she is very accurate. I highly recommend Jenina as a reader. Jenina is excellent, she is one of the best psychic in my opinion. Jenina is a true and genuine person. She's a real gem and very brilliant. I had a reading with Jenina this evening. I was feeling wary about a situation involving a family member, but I was uplifted by the reading Jenina did for me. She is really an angel sent from Heaven to help those in need of somebody to talk to. Thank you dear and God bless you. I was so please with my reading with Jenina today. She just asked my name and connected straight off, I was blown away, she knew exactly what was happening in my life and was so easy to talk to. Thank you so much for recommending her. I am so pleased that Jenina was recommended to me for my first reading with Psychics Connect. What a charming, intelligent lady, she understood me right away and I feel I got a lot out of my reading. I will definitely be calling to speak to her again. Many thanks. Jenina was just amazing. I asked Jenina not to use the cards, and what she picked up on was just awesome. A truely great reading. Many thanks, Jenina. I would like to thank you Jenina very much for sharing your remarkable insight, patience and sense of humour with all my questions and concerns with all the ongoing changes in my life. I feel most blessed to have had readings with you and I am sure many others who have had readings with you would feel as I do. I highly recommend you and I am sure the Psychics Connect team know they are extremely lucky to have you as part of the team. You are a very special and gifted lady, Jenina. Your kindness, support and help through the challenging times has meant a great deal to me. Thank you so much. I wish you love, health and happiness always. A Big Thank you to Jenina. Her readings with me have been spot on, she had helped me through a very difficult 6 months. She is an excellent reader... Thank you Jenina. Jenina is an excellent clairvoyant. She connects very strongly. Jenina is very straight forward, picks up on a lot of details and brings a lot of insight. Her warmth and experience will bring you a lot of peace,understanding and hope for the future,really excellent reading,thank you Jenina. I have just had the most fantastic reading with Jenina, I am so pleased. She hit the nail on the head, and completely understands my situation. She reads with compassion and understanding and I thoroughly recommend her! A Big Thank you Jenina for getting me through some difficult times. I call you my EVG reader, you aren’t just very good , you`re Excellent!! Jenina gave me a fantastic reading today. She was spot on with her details and really positive. I am so Grateful to her, she is an excellent reader. Many thanks Jenina! Jenina was spot on with my employment situation. I have now left my current employers and have been offered a much better position with another company. Thank you Jenina. What a wonderful person Jenina is. She is always so uplifting and helpful to me. Thank you again for another really amazing reading. I have been receiving readings from Jenina for the past 2 1/2 years. I have found her to be very helpful in consolidating my opinions of the dire events that life has been throwing my way. She is accurate with her readings without making the mistake of saying `you will meet the man of your dreams by 15th January`. I wouldn`t want a reading from any other psychic. I`ve just had the most wonderful reading with Jenina and would just like her to know how much I appreciated her input. With many thanks to her and all the staff at Psychics connect for their kindness. I just wanted Jenina to know the outcome of her reading has happened and to pass on the message that she is a wonderful reader ... so kind and thorough. I was so happy with Jenina`s reading today. I would also like to thank all the readers that have read for me over the year and wish them all and the CSO`s a very Happy Christmas and a Peaceful New Year. Psychics Connect is the best. I wish to thank Jenina and all the beautiful people who have worked with me and helped me through so many interesting times over the years. Also to the wonderful people who have answered the phone and assisted me over the years. Thank you one and all. Warm regards and many, many blessings. I wanted to thank Jenina for the wonderful reading she gave my friend. Jenina was right. My friend did end up getting her American visa. Jenina did a reading for me on the 26th of October. She was very accurate and has helped me to begin to come to terms with a very difficult situation. Thank you very much. All your readers have helped me, but some stand out. Jenina is one of them. I would like to thank Jenina .... She is amazing....and I will be ringing again. My reading with Jenina went very well. She was a warm and caring person, kind and good at heart. My reading with Jenina was brilliant. She is a star reader. My reading with Jenina was `first class`. I will definitely have readings with Jenina again. I would like to say how accurate and wonderful Jenina is. I have been using Psychics Connect for many years. I like all the psychics but today I had a reading with Jenina and it was the best reading I have ever had. What a wonderful clairvoyant is Jenina. She is a credit to the company. Many thanks. My reading with Jenina was fantastic. I only have a reading every couple of years and all your psychics have always been great, but I wanted to particularly compliment Jenina as she was `spot` on in so many areas. Jenina will call you on either your landline or mobile. You can pay by credit / debit card or PayPal. Extra minutes are charged at $3.70 per minute, respectively.